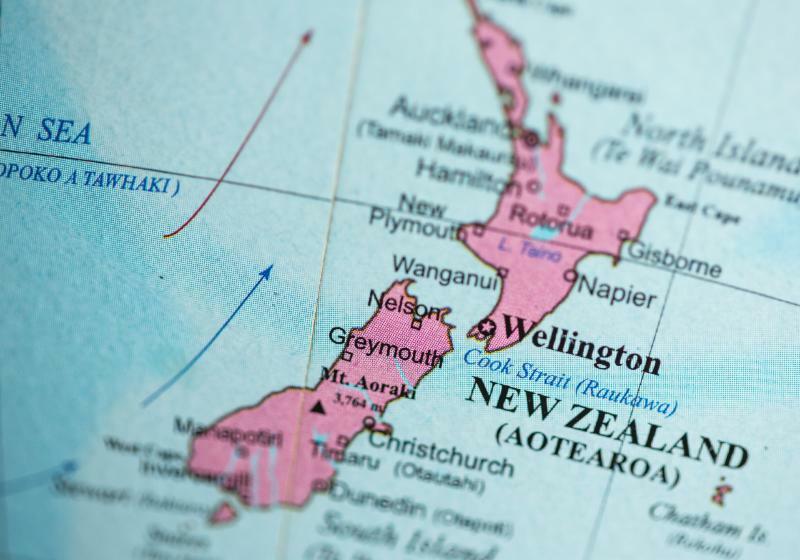 Two weeks ago, at its March 16 meeting, the Presbytery of the Twin Cities Area approved a resolution that spoke to the horrific shootings in two mosques in Christchurch, New Zealand. One of our members, the Rev. Dan Yeazel, who serves as interim pastor at First Presbyterian Church in Hastings, sent the resolution to a friend and colleague, the Rev. 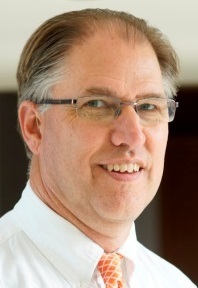 Hamish Galloway, senior minister of Hope Presbyterian Church in Christchurch. This is the response Dan received from Rev. Galloway: "Thank you, Dan, so surreal here. The Mosque where 42 people lost their lives is across the road from my golf club and I park outside it weekly. Prayer vigils all around the city. Pray for us. God bless. This means a lot to us, very emotional church services today." The complete story is at "Responding to Christchurch." Established in 2017, the Don S. Milloy Disability Advocacy Award is presented biennially to a person or a group in the Presbytery of the Twin Cities Area in recognition of their outstanding service as advocates for and with people who live with disabilities. Nominees must be a member or members of a congregation or a teaching elder in the presbytery. Nominations are now being accepted and the deadline is May 31. Details can be found at "Don S. Milloy Disability Advocacy Award." One of our ministries in the Presbytery of the Twin Cities Area, led by our Congregational Vitality Committee, is support of a new worshiping community of immigrants and refugees from Ethiopia. We're doing this work together with our colleagues in the Saint Paul Synod of the Evangelical Lutheran Church in America -- two denominations, but one united vision for ministry. If you were at Presbytery meeting last Saturday, you heard the moving testimony of its pastor, the Rev. Gilo Agwa Gora. This spring, we have an opportunity to help this group of believers grow in faith and discipleship, by sponsoring a summer camp or Triennium experience for their young people. You can read the full details in this letter, which was sent earlier this week to all of our PTCA congregations and to the congregations of the ELCA's Saint Paul Synod as well. Might you consider joining this effort? Is there a mission project your church has been wanting to do or a conference that an elder, deacon, congregation member or lay staff would really benefit from? Every year, the Mission and Witness Committee of the Presbytery of the Twin Cities Area invites churches and individuals to apply for mission and scholarship grants that either extend a particular ministry of a local congregation or support the work of laity or non-clergy staff within the church. These grants range from $500 to $1,500. Grant applications for these funds are available on the PTCA website. The complete announcement is at "Grants and Scholarships." There was a time, it seems to the Rev. Jim Kirk of Presbyterian Disaster Assistance, that specific phenomena were isolated to different parts of the calendar. That is no longer the case. Spring has brought severe storms, tornadoes and flooding. "What we're finding -- and this is anecdotal -- is less and less defined disaster seasons," says Kirk, associate for national disaster response for Presbyterian Disaster Assistance. Indeed, as spring has sprung, Kirk and PDA personnel are managing several domestic disasters including flooding in the Midwest and late winter severe storms and tornadoes in the Southeast. "I expect PDA will be involved at several levels," said Greg Smith, a member of the PDA National Response team deployed to the Presbytery of Missouri River Valley to assess damage from flooding that has affected 70 percent of Nebraska, as well as significant portions of Iowa and Missouri. 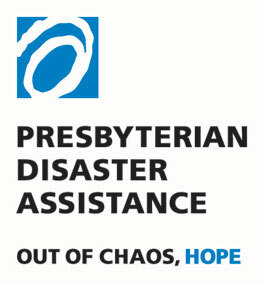 The complete Presbyterian News Service story by Rich Copley can be found at "PDA Responds." Contributions to flood relief can be made through "Missouri River Basin Floods." As noted in last week's Emerge, if flooding this spring begins to affect communities in the Presbytery of the Twin Cities Area, the presbytery will provide information and determine an appropriate response. This holy season of Lent is intended in part as a time of penitence and reflection; in the words of the text from Isaiah many of us heard on Ash Wednesday, a time to take seriously those means by which we might "be called the repairer of the breach, the restorer of streets to live in." During Lent, then, I am using Jottings as a voice that would call us (myself included) to reflection, to faith, to action, as repairers and restorers. A voice that challenges us, and comforts us. A voice that may be hard to hear, but even harder to ignore. Not simply my voice but that of others. We more often associate Lent with fasting than with feasting. Jesus' 40 days in the wilderness without food is the traditional text for the first Sunday in Lent; Jesus' final meal with his disciples is his last act before his crucifixion. Those two events bookend and in some way shape our Lenten journey. The complete Jottings are at "Fasting and Feasting." The Rev. Dr. Robin Meyers, senior minister at Mayflower Congregational Church in Oklahoma City for 34 years and author of the much-discussed "Saving Jesus from the Church," will lead the Didier Seminar at the House of Hope Church in St. Paul on April 6-7. The goal of the Didier Seminar is an informed and compelling Christianity. The schedule for the Didier Seminar includes a wine and cheese event Saturday, April 6, at 6:30 p.m. followed by a lecture at 7:30 titled "From Galilean Sage to Supernatural Savior." On Sunday, April 7, at 10 a.m., worship, with a sermon titled "Original Blessing," will be followed at 11 by a lecture, "Houston We Have a God Problem." Complete details are at "Didier Seminar." 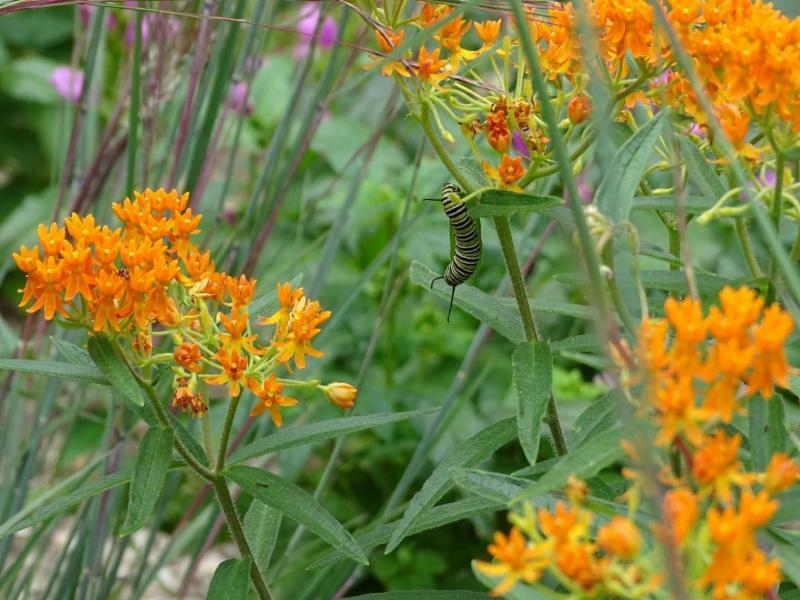 For those who have considered designing their home landscape for water quality, pollinators and ecological improvement, the Nine-Mile Creek Watershed District and the Green Committee of Oak Grove Presbyterian Church in Bloomington are offering an opportunity. They're offering a free sustainable residential landscaping class Saturday, April 13, from 1 to 2:30 p.m. at Nine-Mile Creek Discovery Point in Eden Prairie. Matthew Kumka, a landscape architect who specializes in sustainable site development and green infrastructure, will lead the class. Details can be found at "Sustainable Landscaping." 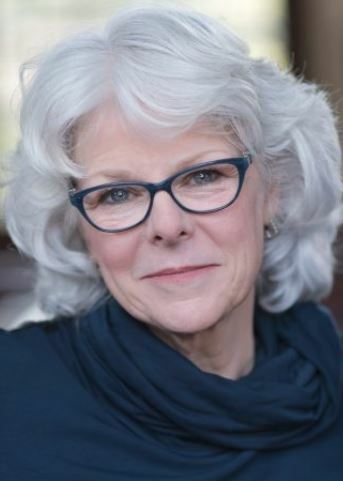 All retired PTCA clergy and their guests are invited to gather at Westminster Presbyterian Church in downtown Minneapolis on April 30 to hear Barbara Brown Taylor speak about "Finding God in the Faith of Others." The Rev. Taylor is the guest speaker at the Westminster Town Hall Forum. The retired ministers will gather at 10:45 a.m. in the Meisel Room at Westminster for registration and fellowship. The group will move to the sanctuary by 11:30 where they will sit together to hear music from Aaron Humble, a former member of the vocal group Cantus, followed by Taylor's forum talk. RSVPs are important for this event, as a space will be reserved for us in what is expected to be a full sanctuary. More details and an invitation will follow. Those who plan to attend can RSVP now by sending an e-mail to calcooper@gmail.com. The complete updated announcement can be found at "Retired Clergy Event." Peace Presbyterian Church in St. Louis Park continues its "Welcome the Stranger" series this week . This Sunday, March 31, Hawra Alnabi, an immigrant from Iraq, will speak after a light lunch at 11:45 a.m. Alnabi is a member of the Minnesota Council of Churches Refugee Speakers Bureau. On Wednesday, April 10, the congregation's Welcome the Stranger Planning Team will discuss next steps, considering the subject, "What Does God Call Us to Do?" The presentations are free and open to the public. Additional details are at "Welcome the Stranger." 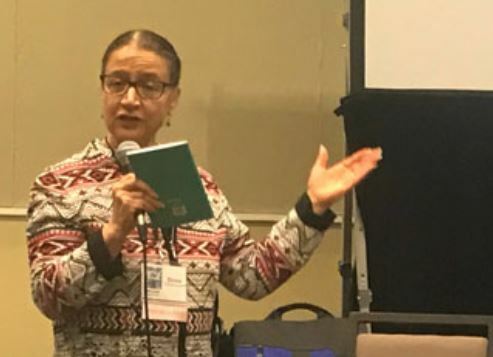 Titled "Winyan Awanyankapi: Protecting the Lifegivers," the April 5-7 conference at First Universalist Church in Minneapolis will address the missing and murdered American Indian women, and indigenous peoples sovereignty of housing and water. The conference, open to everyone, is designed by and will be led by indigenous women. Keynote speakers are Ann McKeig, the first American Indian to serve on the Minnesota Supreme Court, and Patina Park, executive director of the Minnesota Indian Women's Resource Center. The conference will offer place-based learning experiences, keynote speeches, breakout sessions and opportunities for conversations with fellow conference attendees. Meals will be provided by indigenous-owned catering companies offering traditional foods. 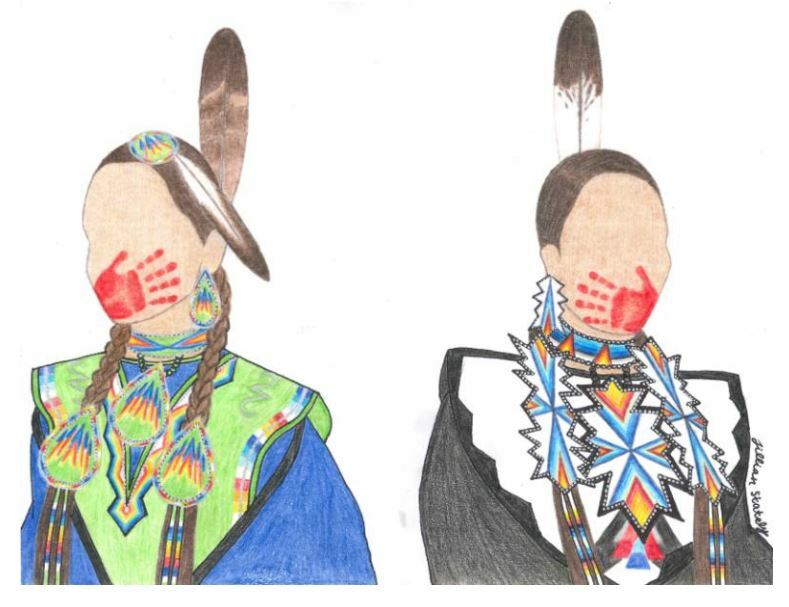 The image above is by Jillian Elaine Stately, Red Lake Ojibwe, Santee Dakota. A flyer is at "Winyan Awanyankapi." The conference is also on Facebook. The registration page is at "Lifegivers." Ministers in the Presbytery of the Twin Cities Area are being asked to speak out alongside OutFront Minnesota to advocate the ban of "ex-gay" conversion therapies. Vocal support from faith leaders is necessary and important as legislation that would ban conversion therapy makes its way through the state legislature, according to Brennan Blue of St. Luke Presbyterian Church of Minnetonka. OutFront Minnesota advocates for equal opportunities, protections and rights for the LGBTQ community. To learn more about the Mental Health Protections Act and how faith communities can get involved, contact Blue at brennan@stluke.mn or David Comstock at pastordaveip@gmail.com. The Church of All Nations and Underground Seminary has scheduled a continuing education event in June that offers week-long classes that seek to "decolonize our reading" of the Bible. 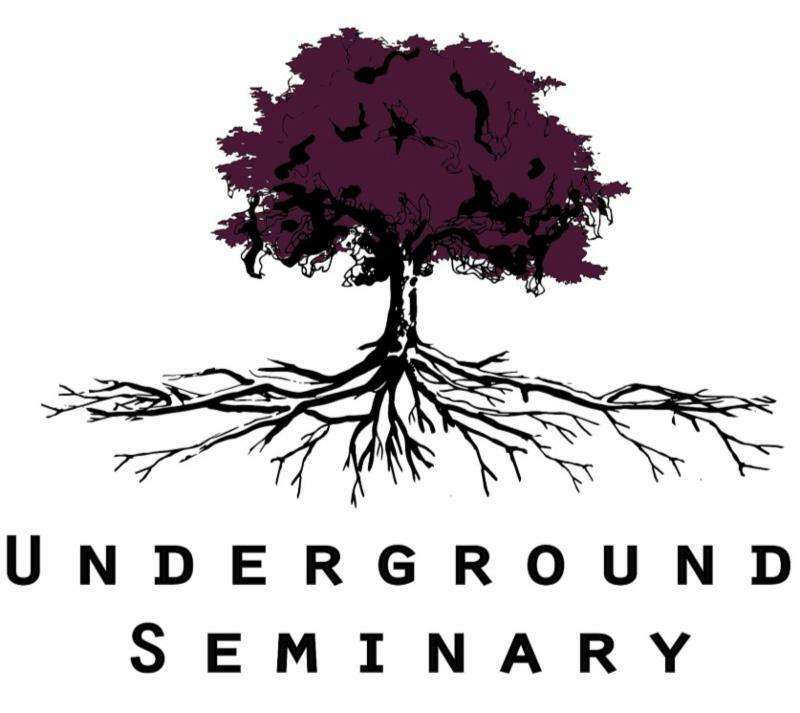 The Underground Seminary website notes, "The white, Western, capitalist framework that has dominated the globe the last few hundred years is collapsing, but not without a fight. This has led to a global neoliberal system where everything is a commodity to be devoured for profit. Ours is an age that calls for prophets and healers. But how do we do that as Christian leaders when Christianity has been the primary ideological center of this destructive worldview?" Details about the event can be found at "A Postcolonial Survey of the Bible." Early bird registration ends Sunday, March 31. The 27th Festival of Homiletics returns to Minneapolis in May with the theme, "Preaching as Moral Imagination." The Festival plans to "inspire and encourage preachers to embrace once again their identity as those called to give voice to God's vision of goodness and mercy, to recover and reimagine leadership in the church that seeks justice for all," according to the Festival's website. The Festival runs Monday through Friday, May 13-17, and encourages ministers to "come renew, refresh and recharge. ... Come and tap into God's moral imagination for the sake of the world God loves," the site notes. Central Lutheran Church is host to this year's conference. Westminster Presbyterian Church will also house events during the week, located less than three blocks from the main venue. Complete details are at "Festival of Homiletics." Students in this year's Augsburg Youth Theology Institute that runs June 23-28 at Augsburg will, according to the university's website, develop leadership skills and put creation care theology and science knowledge into action. Augsburg Youth Theology Institute is a summer program for young people in high school, grades 9-12. It has been called "a year of spiritual growth concentrated into one faith-filled week." Details about the program are available at "Augsburg Youth Theology Institute." The Synod of Lakes and Prairies Leadership Summit, formerly known as the COM/CPM training event, is slated April 23-25 under the theme, "Nurturing Wholeness and Mission: The Work of Presbyteries and Personnel Committees." The conference, which takes place at Christ the King Retreat Center in Buffalo, Minnesota, will explore issues of pastor nominating committees, best practices for personnel committees, communication tools, and ongoing support through cohort groups, coaching and other means. Mary Kay DuChene, a staff associate at LeaderWise, a counseling and consulting organization headquartered in New Brighton, Minnesota, will be the keynote speaker. The conference brochure and registration information are at "Leadership Summit." Noting on its website the "growing concern over the devastation of all forms of addiction, including the ever-increasing opioid crisis," organizers of this fall's Addiction & Faith Conference say the conference will "raise awareness of the terrible addiction problem we face and how the church and people of faith can help to address it." The conference is planned Friday through Sunday, Sept. 20-22, at the Doubletree by Hilton in Bloomington, Minnesota. The conference is presented by the Fellowship of Recovering Lutheran Clergy in partnership with the Recovery Ministries of the Episcopal Church. Conference details are at "Addiction and Faith." Kris and Brian Peterson of Leadership Harbor will be the plenary leaders at this spring's Great Plains Wee Kirk Conference planned May 6-8 at Calvin Crest Camp, Conference and Retreat Center near Fremont, Nebraska. The conference provides opportunities for pastors and lay leaders of smaller membership churches to find ideas for ministry in their contexts, to experience encouragement, and to have their souls fed. Additional details are available at "Wee Kirk." 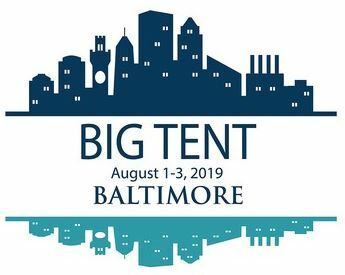 Organizers for this year's Big Tent celebration are expecting a large turnout for the gathering in Baltimore this summer. Registration is officially open for the event that is held in off years for the General Assembly of the Presbyterian Church (U.S.A.). Registration costs have been reduced to accommodate attendees and encourage families to come. The theme for this year is "Called to a Movement Beyond Institution," which is also the theme for the 224th General Assembly, also being held in Baltimore. Details and registration information are at "Big Tent." Called simply The Academy, a series of 11 courses designed to develop well-equipped, thoughtful people to better serve councils in a variety of capacities, will open for another cohort this summer. Described as a unique, cohort-based learning community, The Academy offers participants an opportunity to grow in faith and knowledge, as a leader, and to have more opportunities to serve God as needed. For some participants, the courses may lead to becoming commissioned pastors. The Academy is a joint effort of the presbyteries of Minnesota Valleys, North Central Iowa and Prospect Hill, and the Synod of Lakes and Prairies. A current brochure, with a link to registration, is at "The Academy." 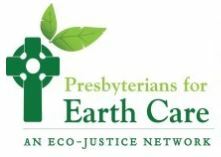 Presbyterians for Earth Care, a national eco-justice network that cares for God's creation by connecting, equipping, and inspiring Presbyterians to make creation care a central concern of the church, will conduct its 2019 conference Aug. 6-9 at Stony Point Center in Stony Point, New York. 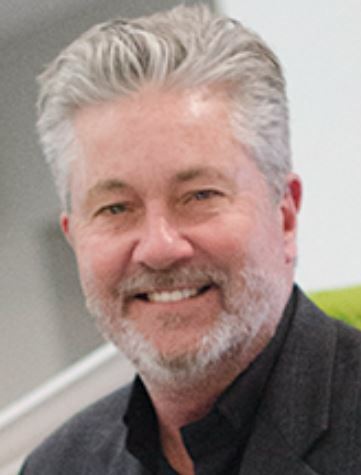 William Brown, professor of Old Testament at Columbia Theological Seminary in Decatur, Georgia, will be the keynote speaker. Confirmed workshop speakers are Emily Brewer of the Presbyterian Peace Fellowship and Ryan Smith of the Presbyterian Ministry at the United Nations. Additional details are at "Presbyterians for Earth Care." Westminster Presbyterian Church of Minneapolis is seeking an associate pastor for faith formation to join a dynamic downtown congregation to nourish personal faith through study, prayer and fellowship. We are seeking a collaborative, energetic, nurturing pastor who is committed to the teachings of Jesus Christ and who will lead the families, youth and children, and the adult education ministries. The complete position description can be found at "Associate Pastor for Faith Formation." The Minnesota Council of Churches is seeking a development officer with a passion for justice and a knack for telling stories and connecting with people. The Council is seeking someone who wants to dig into data, devise strategy and help the Minnesota Council of Churches as it seeks to weave social justice into the fabric of faith communities in Minnesota. Additional information about the position can be found at "Development Director." associated events. Interested applicants can send e-mail to ben.kummer@gmail.com. The complete job description is at "Youth Director." Macalester Plymouth United Church of St. Paul is seeking a part-time communications specialist -- about 10-12 hours per week. This individual will be responsible for developing, coordinating, and executing Macalester Plymouth's communications, which support worship services, programs, outreach, and various ministries. We expect the Communications Specialist to help develop an overarching communications strategy and to generate innovative ideas to promote Macalester Plymouth's mission, ministries, and community engagement activities. The complete job listing is at "Communications Specialist." Historically, Presbyterians have contributed to white supremacy culture. But they've also done plenty of reparative work in recent years, three Presbyterian officials said during a Friday workshop at the White Privilege Conference. Ruling Elder Elona Street-Stewart, at right, synod executive for Synod of Lakes and Prairies; the Rev. Denise Anderson, coordinator of Racial and Intercultural Justice in the Presbyterian Mission Agency; and the Rev. Molly Casteel, an assistant stated clerk and the manager of Equity and Representation for the Office of the General Assembly, offered the Friday workshop "The Christian Gaze: Disrupting White Supremacy Within Presbyterian Communities of Impact." Street-Stewart, the PC(USA)'s first Native American synod executive, began with the papal bull issued by Pope Alexander VI in 1493. The complete Presbyterian News Service story by Mike Ferguson can be found at "Presbyterians and White Privilege."